Russia's Troitsk power plant project is a large-scale power generation project funded by Russian electricity wholesale market, the second power generation open-stock company, Troitsk State-owned power plant. The site is located in the Russian city of Chelyabinsk, 8 km from the city of Troitsk. Chelyabinsk State is adjacent to Kazakhstan. In the application of Hofmann(HFM) plate heat exchanger of cogeneration replenishment preheating system, Russian Troitsk Power Station Project is a very good engineering sample case. It also marks that Hofmann(HFM) Company actively develops foreign power plant project market; has taken a solid step forward on the implementation of international development strategy. Russia's Troitsk State-owned power plant now has a total of nine units completed in three phases. In the first phrase of three sets of generating units from NO.1 to No.3 power plant, the total installed capacity is 255 megawatts; in the second phase of 4 sets of generating units from No.4 to No.7 power plant, the total installed capacity is 834 MW; in the third phrase of 2 sets of generating units from No.8 to No.9 power plant, the total installed capacity is 970 MW; these nine units have all been put into operation. This construction scale of the project is 2 × 660MW supercritical wet cooling unit, the current project is to build one unit, with 200Gcal/h heating capacity, which has been put into operation on August 31, 2014. The project is carried out by the Russian Quartz - New Technology Co., LTD. EPC, the engineering commissioning work takes Heilongjiang Province Electric Power Research Institute as the main body, with the Heilongjiang Sirius Power Equipment Co., Ltd. as the representative of the debugging consortium undertake, the Provincial Energy Conservation Agency takes on sub-system trail run, complete set of start-up, reliability operation and performance test work. Among them, Hofmann(HFM) Company as a well-known brand of heat transfer industry is also involved in the construction of the project. 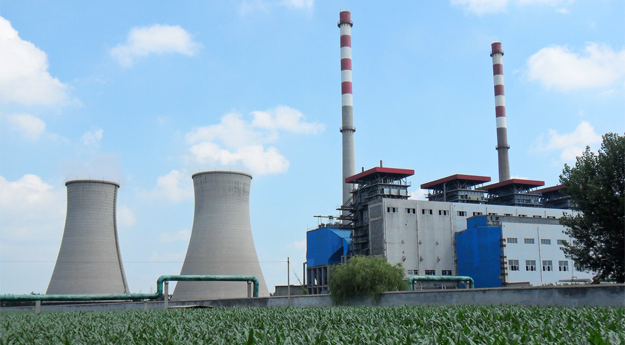 Heat network heater is the key equipment of heat network system and is one of the main equipments of thermal power plant. Its main function is through the extraction of the steam turbine or the steam (heating medium) from the boiler to heat the circulating water in the hot water supply system to meet users’ heating requirements, in order to achieve cogeneration. In Troitsk State Power Station 2×660MW power generation unit construction project, hot water replenishment adopts Hofmann(HFM) heat exchange solution and two NT150S plate heat exchanger unit. With the extensive experience in the field of the power plant cogeneration, in order to have a more efficient and energy-efficient heat exchange solution for the Troitsk State Power Station, Hofmann(HFM) plate heat exchanger unit can provide one-stop heat transfer service. Hofmann(HFM) worked on the contract with the Russian Troitsk No.10 unit project, marks the cooperation between China and Russia power station construction and the new era of the technology and equipment output of China's power station and the construction and technical service of Russian power station. And also marks Hofmann(HFM) tries to actively expand the heat transfer products in the power plant applications, in particular, do fine plate heat exchanger, to provide users with first-class heat transfer service.